This post first appeared on the Ferenstein Wire, a syndicated news service.  Publishing partners may edit posts. For inquiries, please email author and publisher Gregory Ferenstein. In a new national poll, more than 1 in 4 Americans said they would support limits on humans driving cars in the near future, given the fact that robotic self-driving cars could be safer. Google says that self-driving cars will likely be commercialized in about 5 years and their widespread use could overtake human-driven cars soon after. From the available evidence are much much safer: Self-driving cars have been involved in only a few minor accidents, which is why they could save the lives of around 21,000 people a year in the U.S. and avoid billions of dollars in cost. Hence, this is why the world’s happiest mad scientist, Tesla founder Elon Musk, thinks that the government may eventually outlaw humans driving cars altogether, or at least place severe restrictions on them. "so what did you do before self-driving cars?" "we just drove 'em ourselves!" "wow, no one died that way?" "oh no, millions of people died"
At this stage, 27% is a much higher poll number than I was expecting. It was only 17 years ago that 27% of Americans favored legalizing marijuana — and now a majority do. That’s roughly the same trend for gay marriage as well. Typically, Americans are averse to any sort of restrictions, which is why phrasing a survey question as something that the government “forbids” normally ends up in biasing the results towards heavy opposition. 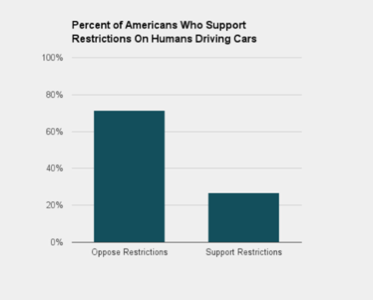 At the moment, as expected, most respondents still support the right of Americans to drive their own car. Still, these numbers are quite high. I expect they could reach a majority in favor of restricting humans driving cars less in than a generation after self-driving cars are widely available. Statistics nerds can read the full results and methods of the Ferenstein Wire poll conducted with the help of Google Surveys. For more stories, subscribe to the Ferenstein Wire newsletter here.